Not quite feeling the Christmas spirit yet? Check out these 15 festive happenings, from a very Cornish Christmas Show to illuminations in the trees. I didn’t quite make it to any of the wreath or willow weaving workshops on offer this Xmas but happily, the coolest festive workshop is yet to come. 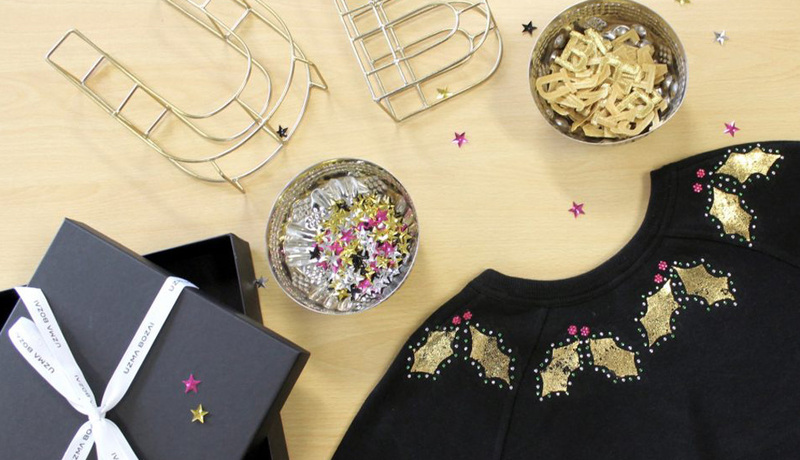 The team behind Cornwall-based fashion line Uzma Bozai (stocked at Harvey Nics and Anthropologie) are sharing a sparkly, sequinned Xmas jumper workshop, where you will learn how to customise your own creation just in time for Christmas Jumper day this Friday. £50 pp, incl sweatshirt and all materials. If you stay on for dinner after the workshop, Star and Garter will throw in a free prosecco cocktail. What an awesome Xmas girls night! 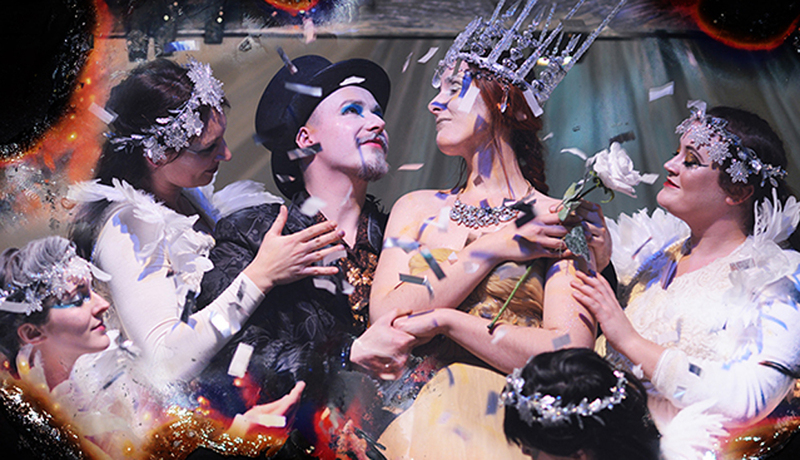 A touring family show for Christmas inspired by Hans Christian Andersen’s traditional tale. London. Christmas Eve. The snow is falling. A little girl struggles fiercely through the cold. We follow her throughout the day as she encounters the funny and zany characters of the vibrant city streets. 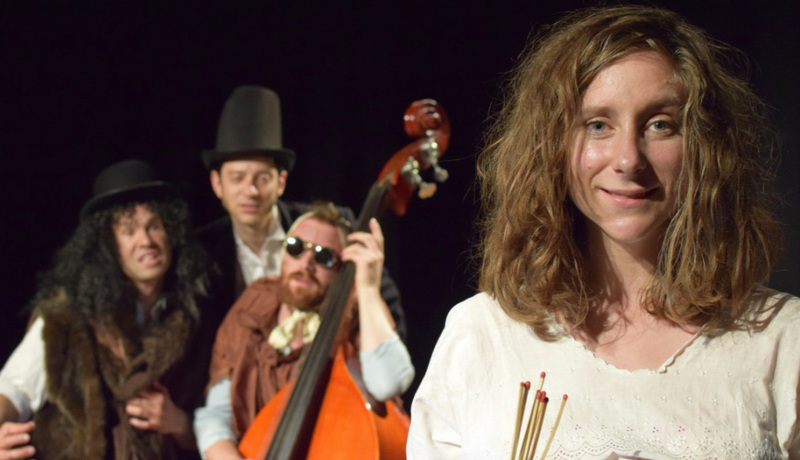 In this touching, madcap and heart-warming Christmas show, The Last Baguette use visual storytelling, live music and puppetry to shine a light on Hans Christian Andersen’s classic winter tale. This December, step into ‘Heligan by Night’ and experience the art of illumination as internationally renowned light artist Ulf Pedersen reveals the night time magic of Heligan’s historic plantings. 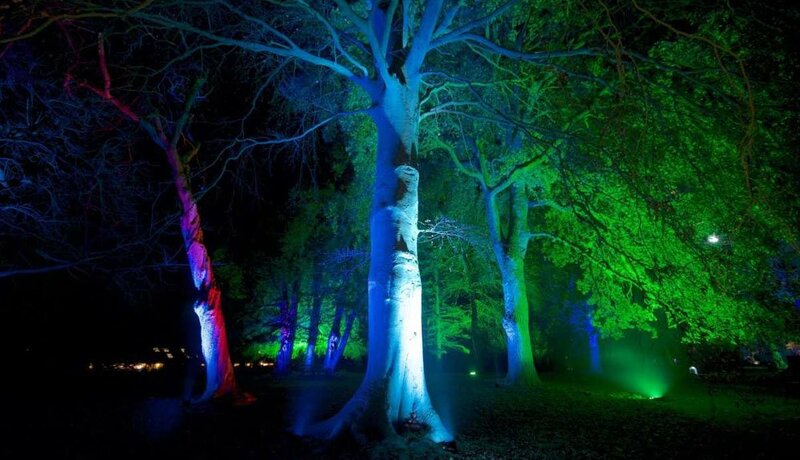 Journey through an after dark Lost Gardens and delight in the incredible textures, colours and atmosphere created by Pedersen’s thought provoking illuminations. £5, under 5s free. 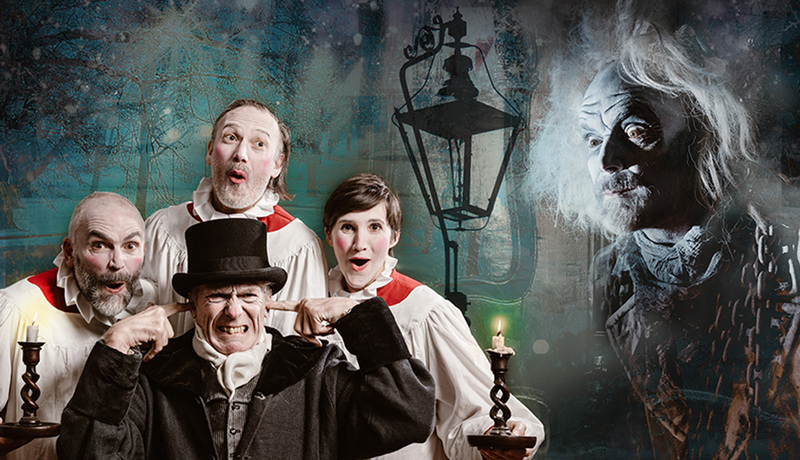 This December, Miracle breathes new life into the second most famous Christmas story in the world – Charles Dickens heart-warming masterpiece ‘A Christmas Carol. Following a sell-out run of ‘Cinderella’ last year, Miracle is back at Falmouth’s Princess Pavilion, with a re-telling of this timeless classic about the cold-hearted miser Scrooge and his joyous redemption. Children £10, adults £15. See Trelissick in a festive light with the garden and house illuminated after dusk and with a longer route around the garden this year there’s even more to explore. Last entry to the garden at 6.30pm. Normal admission charges apply, free to National Trust members. Described by one visitor as being like ‘man-made Northern Lights’ this unforgettable display of light, music and colour returns to the Eden Project this winter. 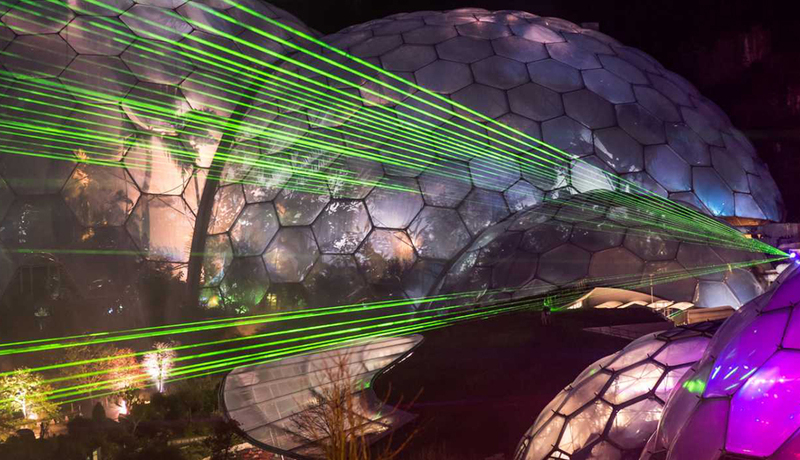 Step out onto the viewing platform and gaze in awe as dramatic lasers pierce through the darkness to create a canopy of light, illuminating Eden’s lush landscape. You can also take part in craft workshops before the festivities kick off each evening. All activities are included with an Eden Project ticket or Pass, and there is no need to book. Catch live music every Friday through winter at unique Newquay beach venue, Lusty Glaze. This week, see BACHE – a folk-pop band hailing from Cornwall. The band was formed around the songs written by Cornish singer/songwriter Andrew Bache and now features Phil Brown on Drums and Adam Sparks on Bass. BACHE is known for their upbeat and fun stage presence and their ability to have a room up on their feet and singing along to songs they have never heard before as well as putting their spin on well known songs. The team behind this summer’s a pinch of SALT season of dance performances on beaches and gardens, are back with a new Christmas show. 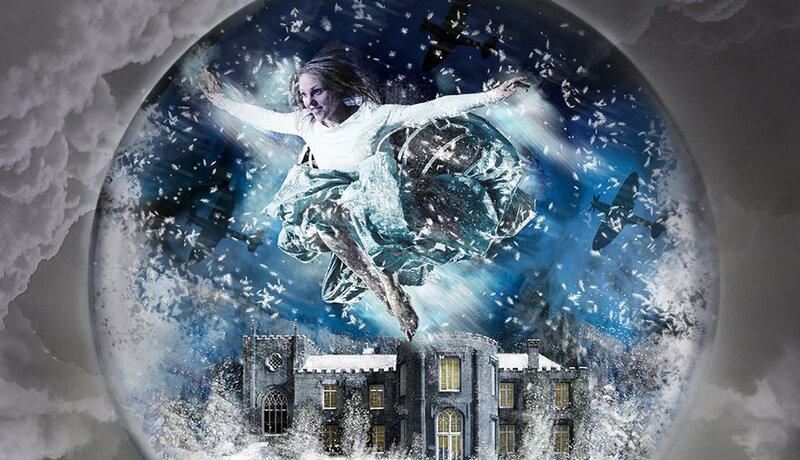 A promenade performance in and around the gardens at Padstow’s Elizabethan Manor House, Prideaux Place, the show is a perfect Christmas story for all the family, including live music, robins, snowflakes, and a giant snow globe! There will be food available from Ed Stein which is pre-orderable with tickets. 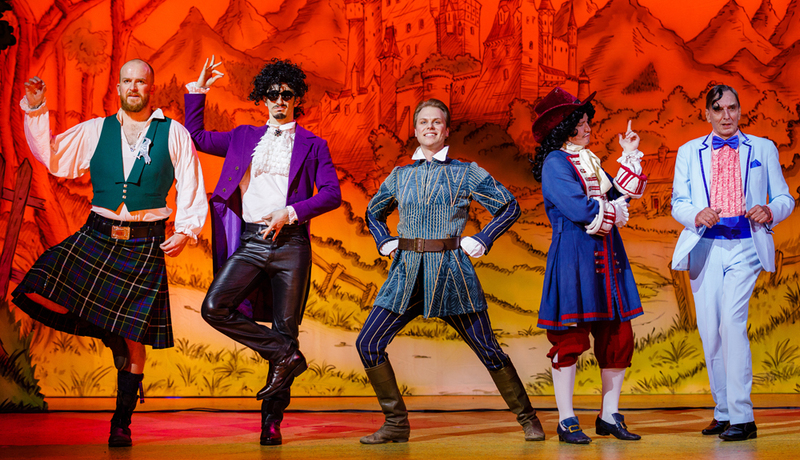 Matinee performances and evening shows are available. Children £8, adults £12. Canteen, the new home of Woodfired Canteen has recently opened at Wheal Kitty Workshops in St Agnes. Open for breakfast, coffee, lunch and cake (with some added fire) – check out their mouthwatering Instagram feed for updates on the dish of the day or swing by this Saturday for a flash feed with a festive feel. BYO drinks and pay what you think it is worth at the end of the night. Enjoy Christmas the Cornish way with fireside tales, traditional dancing, mulled wine, mince pies, carol singing and crafts in the castle keep. Celebrate the end of the year as staff ‘Light and Chalk the Block’; make a Christmas card with Cornish good wishes; learn how to make a Cornish ‘Christmas Bunch’ from greenery; and have a go at making your own traditional Christmas pomander and marzipan delights. Plus, meet Father Christmas, in his historic green attire, as he takes up residence in the keep to share folk tales and traditions. Entrance free with standard admission (children £5, adult £8.40). Yes, there are Christmas lights in towns all over Cornwall but these are the particularly special and famous ones and I can’t resist a visit every year. These two villages punch well above their weight Christmas lights wise. 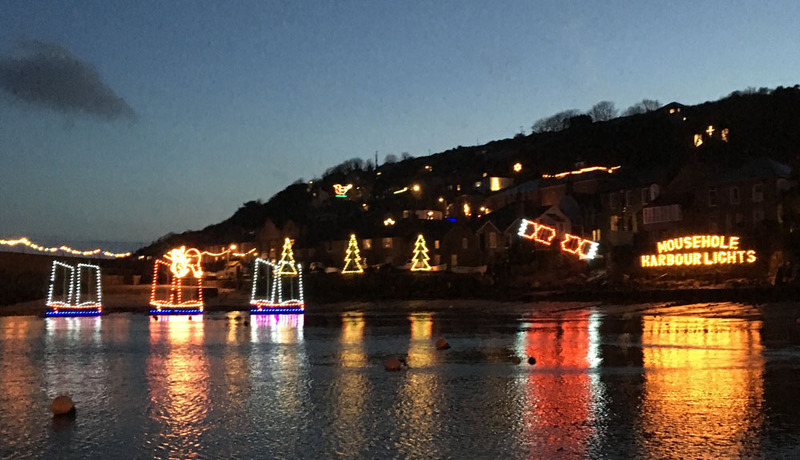 In Mousehole the harbour and town is lit up with everything from sea monsters to star gazey pie and Angarrack’s display depicts the twelve days of Christmas. 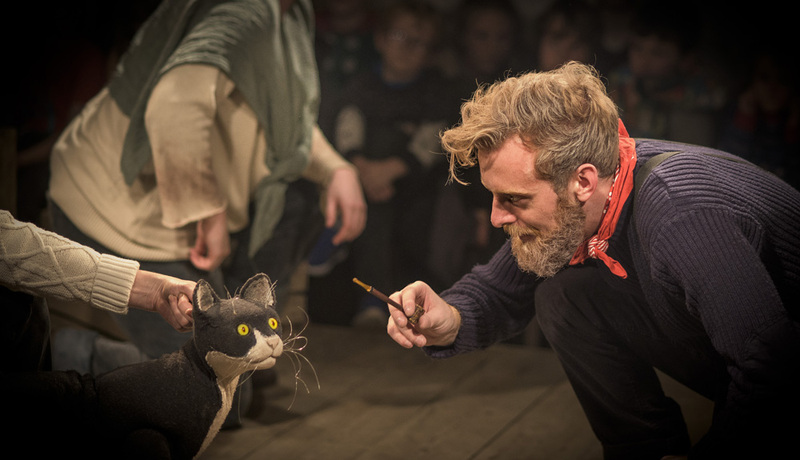 A magical puppet and live action production of Antonia Barber’s classic children’s story, The Mousehole Cat, performed in the heart of Mousehole alongside the village’s famous Christmas light display. Based on a well-known Cornish legend this uniquely heart warming story of the friendship between a fearless fisherman and his devoted cat will warm your cockles… almost as much as an ‘efty portion of stargazy pie! This show lasts for approximately one hour. Last year it sold out, so book early! All tickets £10. Your last opportunity this year to try out the awesome, veggie ‘Roots Reggae Roast’ at Mount Pleasant Eco Park. 3 delicious main course choices will be served up – including Vegetarian options (one will always be Vegan). All roasts come with Seasonal Vegetables, Roasties, Yorkshire Pud and your choice of Rich Veg or Paul’s Special Jerk Gravy. Adults portion £10 / Kids portion £6 / Dessert £4.50. Nothing happening in North Cornwall?